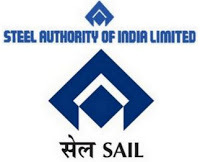 SAIL Notification 2019.Steel Authority of India Limited (SAIL)has released a notification for the recruitment of Overman,Mining Sirdar and Surveyor vacancies in Collaries Division.Check the eligiblity and notification prior to apply for the positions. Last Date for Submission of Application is on March 10th, 2019. Qualification: Matriculation, Certificate/ Diploma in relevant subjects with experience. Age limit: 18-28 years as on 10.03.2019. Selection process: Based on written test and skill test/trade test.